KA-Bar Dog's Head Coppersmith Small Lockback. 3 3/4" closed. 3" D2 tool steel clip blade. Hardened to 56-58 HRC. 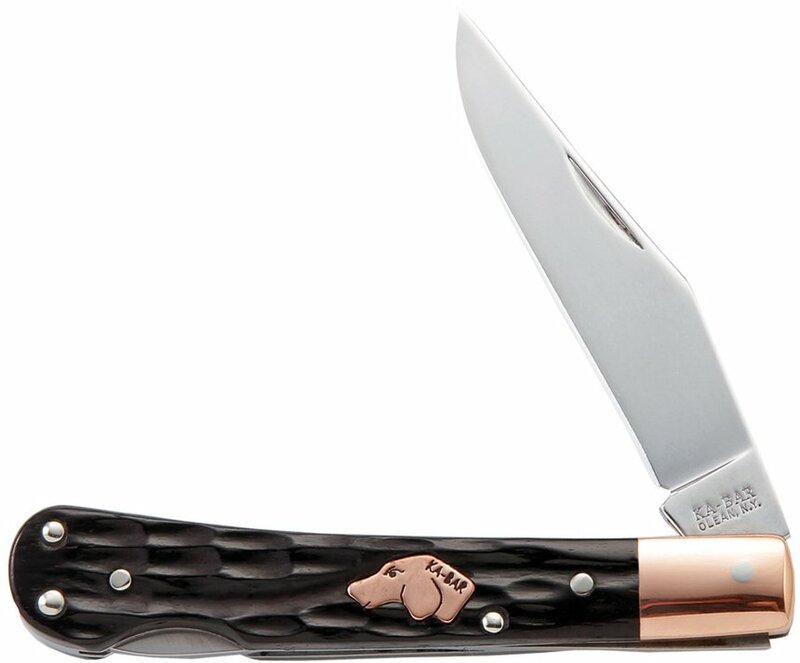 Root beer brown jigged bone handles with copper bolster and dog's head inlay shield. Made in the USA with all American materials.